Once upon a time, I bought on impulse an Apple 3rd Generation iPod. The iPods were all the rave and despite my fascination with technology I never did have a MP3 player. That was just a little before I was about to set off to Quebec over the summer for my job at a National Park. I decided I wanted to be able to carry my music collection with me so I could listen to it over there. I didn’t feel like taking a portable CD player (which I also did not have) with 50 CDs. Thus iPod in hand, I set off to Quebec. That was to be the commencement of my quest for the perfect MP3 player for me, not to mention also the beginning of my gadget addiction. I needed something smaller than the iPod, had the features I wanted (like radio and voice recording) and could still hold my then 3-4GB music collection. It basically came down to the Creative Zen Micro and the Apple iPod Mini. 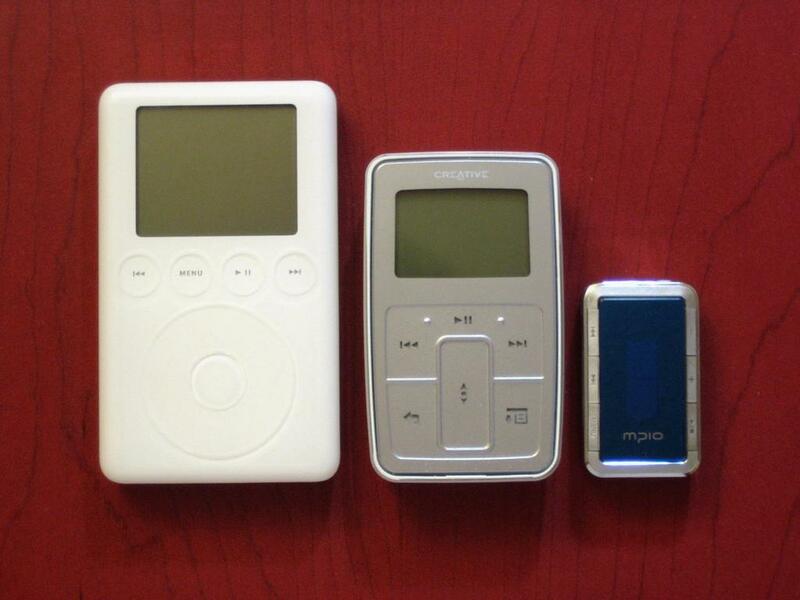 I threw out the Mini since it was essentially an iPod, shrunk, no more features, and in stupid colors. The Zen Micro on the other hand had all the features I wanted and more. It was 5GB (slightly larger than the 4GB of the Minis then) and had decent battery life. It also came in even more stupid colors than the Mini (it’s as though that were a selling feature or something… /sarcasm). I stuck with the tried and true silver (also the first one available) just cause I’m boring and old fashioned. So I ordered my Zen Micro in late November, early December. I hoped to have it by Christmas. And indeed I did have it for Christmas. In fact, I got it before Christmas. And by Christmas I was about ready to throw it in the garbage. The firmware I got it with was a total bugfest and so I was recommended to flash the firmware with a newer one available from Creative that fixed many of the previous problems. Little did I know that the new firmware would actually break the player I had. The thing would no longer turn on after updating. So back that player went for a replacement, but I was always left with a bad taste in my mouth. The replacement that was sent to me got lost the first time around and so it wasn’t until early February that I finally received a working Creative Zen Micro. That’s all for this part of this article. I’ll have few more adjoining articles that will describe my experience with the MP3 players I purchased as well as a final one about why I have still not been completely satisfied with anything I’ve seen in the MP3 player market to date. Perhaps they’ll help any potential MP3 player buyers out there who are reading my blog. Here’s a preview of what’s to come. Charlie, I happen to love my ipod mini…mostly because it’s pink (and pretty), but yes I do agree with you, Apple is out to get you with buying the extra attachments. Why would you want a radio? It’s filled with commercials, annoying DJ’s and music you can’t even control. Sorry, that comment was a general inquiry, not a sneering “Apple’s better” comment. Hope you diss the Samsung YH-820 on here ! Haha, yeah Will. I’ve been playing way too much and those guys are all bad influences. :p UT lingo is teh hawt. OMGWTFLOLGG!! !